A screenshot of a beautiful cheetah on Wild Safari Live. Watch at www.wildsafarilive.com. The Zoological Society of London (ZSL), Panthera, and the Wildlife Conservation Society (WCS) recently collaborated on a comprehensive global survey of cheetah populations. Their findings are alarming. According to this press release from Panthera, there are only 7,100 cheetahs (Acinonyx jubatus) left in the wild. They have lost 91% of their historic range, and 79% of wild cheetah populations number less than 100 individuals. The situation is particularly bad for the Asiatic cheetah; totaling fewer than 50 cats in Iran. In short, the cheetah is running out of time. A number of factors have contributed to this decline. Habitat loss, poaching, live trafficking for the exotic pet trade, and loss of prey from bushmeat hunting threaten cheetahs throughout their range. Outside of protected areas, human-wildlife conflict (when cheetahs are killed due to real or perceived danger to livestock) is another key element. In addition, the cheetah’s own biology may be working against it. Cheetahs are incredibly wide-ranging animals. Up to 77% of cheetah habitat occurs outside of protected areas, making them difficult to conserve through fortress approaches. Their anatomical design, which is built entirely for speed, also makes them physically weak. Cheetahs simply cannot stand up to most other large predators, and they frequently lose kills to lions and hyenas. All of these issues combine to put cheetahs at risk for extinction. Another great screenshot from Wild Safari Live. No, I am not being paid to advertise for them. In order to reverse this trend, the authors of the aforementioned study recommend upgrading the cheetah’s status from Vulnerable to Endangered on the IUCN Red List. This would afford them greater protections, and make more funds available for cheetah conservation. They also advocate for taking a landscape approach to cheetah conservation. Rather than focusing just on protected areas, or locations where human-wildlife conflict is especially pronounced, we need to look at the whole picture. Cheetah populations do not function like islands: they are fluid and cross national borders. Therefore conservation organizations, local people, governments, and concerned citizens around the world need to work together. We must use a variety of strategies to address the threats facing cheetahs across their entire range. You and I can help turn the tide. First, educate yourself about cheetah conservation. Panthera’s website contains a wealth of information on this topic. Monetary donations to groups like ZSL, the WCS, and Panthera would also help, as will spreading the word. And whatever you do, please do not support the exotic pet trade. Sharing pictures and videos of people cuddling with cheetahs might seem harmless, but in reality it encourages more animals to be ripped out of the wild and sold as pets. Lastly, we need to deal with the divisions that make it difficult to effectively collaborate for wildlife. Our world is currently fractured by a host of outdated social and mental barriers. In order to create a future in which humans can coexist with non-human animals like cheetahs, we need to unite like never before. Do not let these beautiful creatures fall victim to our own selfishness and fear. 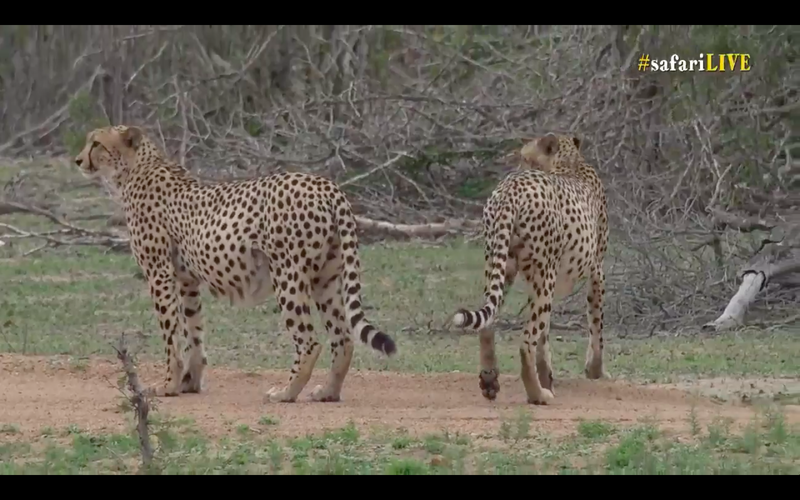 The cheetah’s situation is dire, but now is not the time to panic. It is time to act. For more information, view Panthera’s original press release and this article from Dr. Kim Young-Overton. Thank you for this. It’s very sad. I’m astonished that the cheetah is not already classified as Endangered. As am I. It seems painfully obvious that they should qualify for strict protection across their range. You are definitely doing your part to educate and enlighten. Thanks for never failing to inform and inspire us to learn more about wildlife.